Flyer is up up and away! 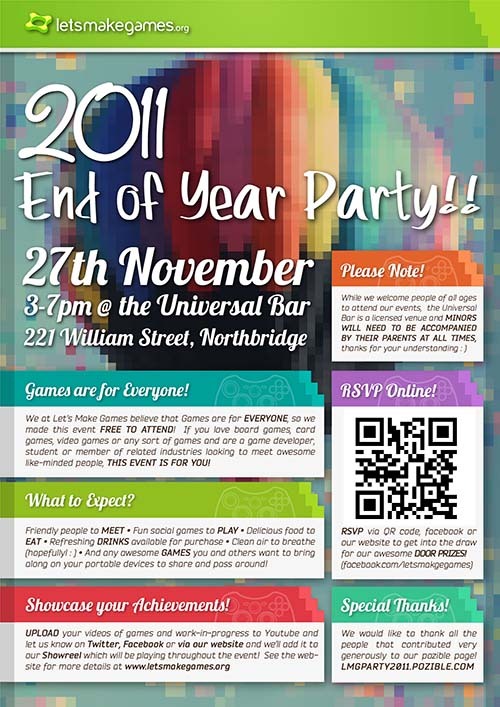 Check out our flyer for the End of Year Party! Big thanks to Rich Kong for making it awesome. You can click through to a high-res version and print it out: stick it on your fridge, put it up at work or give it to your best friend. We’d like to thank our most recent Pozible supporters for helping us make the End of Year Party more awesome!